Ask us about a 30 day trial. 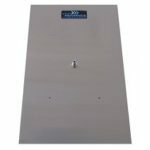 Designed by animal research facility managers and scientists, easy to use, accurate system ensures that you correctly administer CO2 by automatically calculating gas delivery for your cage volume and desired fill rate. CO2 conditions will be consistent every time, thereby eliminating a source of variation. All you need to do is press the start button. There are no valves to turn (or accidentally leave open) between runs and no regulators to adjust. Ideal for the inexperienced, sleep deprived, or overworked laboratory technician. The Quietek also features a key lock that prevents unwanted or accidental tampering with the settings. The Quietek seamlessly integrates into your current protocols. Use it with most common chambers or cages. Lids are available in several sizes. The Quietek seamlessly integrates into your existing workflow with no additional training required. Just push the “Start” button to operate. The recommended gas rate is administered appropriately, every time. Use the key lock to prevent settings from being changed. The Quietek eliminates variation in CO2 induction conditions which can change tissue characteristics. A run timer allows you to document conditions for each animal. Flow and pressure sensors ensure that the flow of CO2 is accurate, so that ethical standards are maintained. With this precision, you can tailor the flow rate as desired within the guidelines, such as to be more gradual or to save time. All of our models can switch between 2 cage sizes, for example, if a lab works with mice and rats or 2 different size mouse cages. The Quietek™ 1 is available with and without RapidFill™, in which after the rodent is anesthetized, you can maximize the fill rate and save time. The Quietek 2 can run CO2 into 2 cages of the same size. A researcher can start CO2 into the first cage, and a few minutes later start CO2 into the second cage. The Quietek XL is for larger cages. Adapters available to fit your current cage systems. Please contact us. One-touch operation. Just press “Start” Button. All of our models can switch between 2 cage/chamber sizes, for example, if a lab works with mice and rats or 2 different size mouse cages. The Quietek™ 1 is available with and without RapidFill, in which after the rodent is anesthetized, you can maximize the fill rate and save time. 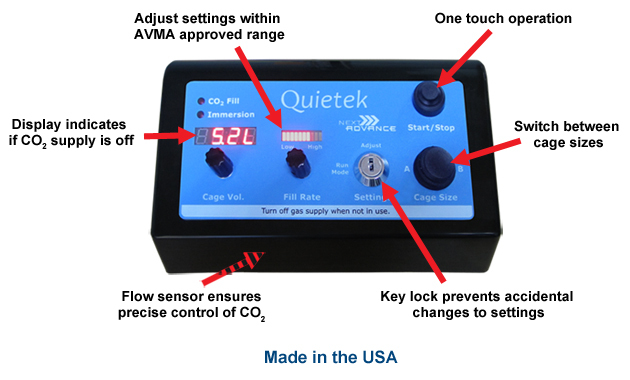 The Quietek 2 can control the flow of CO2 to 2 cages of the same size. For example, a researcher can start CO2 into the first cage, and a few minutes later start CO2 into the second cage. The Quietek XL is for larger cages. Contact us about custom models. Quietek models are designed for different sizes and numbers of cages. The Quietek 1 is suitable for cages between 3 and 30 liters in volume, and can be used with one chamber at a time. The Quietek 2 can be used for two chambers simultaneously. 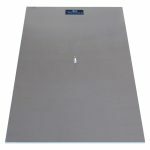 For larger chamber sizes (30 to 200 liters), we offer the Quietek XL. 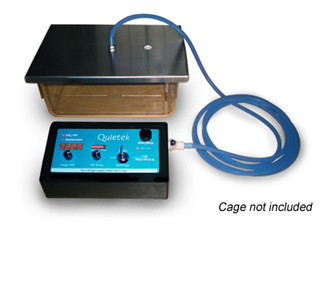 If you require an instrument for very small chamber sizes (0.5 to 10 liters), choose the Quietek SC. Not sure which model to choose? Try our handy Cage Volume Calculator. 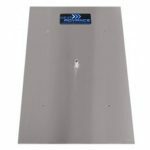 We offer a line of cage lids that fit almost all commercially available cages. 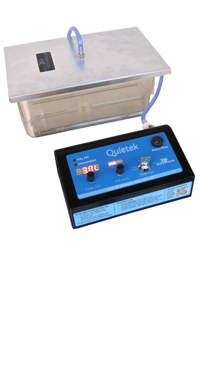 The Quietek controller can also be used with other manufacturers’ lids. Contact us if you need a lid that is not listed here. Accessories include spare keys and replacement tubing in the color of your choice. 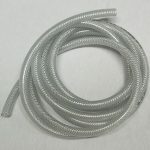 If you need additional fittings, other tubing, or anything else, please contact us. 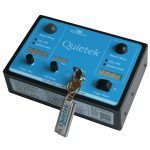 The Quietek™ is a robust instrument. Its precision should not vary significantly over time, however, periodic calibration ensures proper operation such that it meets or exceeds the ethical and quality standards of your animal use program. 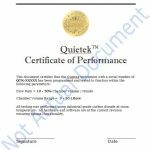 The Quietek is not serviceable by anyone other than Next Advance certified technicians. The software is integrally coupled to the hardware. Modification of any components may render the instrument inaccurate and will void any warranty. Next Advance continuously strives to provide industry leading solutions to researchers in the life sciences. We regularly identify and make modifications to our products to improve functionality and operation. 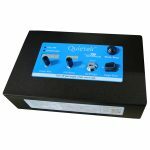 The Quietek calibration service will provide you with the latest software update, will include repair and replacement of worn parts (misuse or abuse is not covered), and will submit your Quietek to our vigorous testing procedure, thereby ensuring that the Quietek is fully compliant when it leaves our facility. Any custom program requirements you wish to have can likely be included as well. If you have custom flow requirements we can incorporate those as part of this service. Note that for calibration or any other service, you must clean your Quietek and certify that it has been decontaminated. 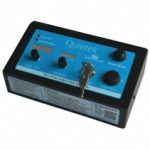 Please contact us before shipping the Quietek. Now you can ensure that your laboratory rodents are humanely euthanized without disrupting your laboratory workflow. Introducing the Quietek™, the affordable, fully-automated device specifically designed by us to ensure compliance with strict international guidelines. 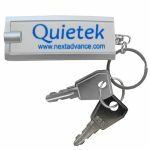 What will I need to use the Quietek™ in my facility? The Quietek requires a CO2 source with a mimimum pressure of 25 psi. We do not recommend pressures above 60 psi. Both tanks and institutional gas supply lines are acceptable. You will also require a solid-sided cage and a lid such as the Quietek lid. Can I use other cage lids or chambers? 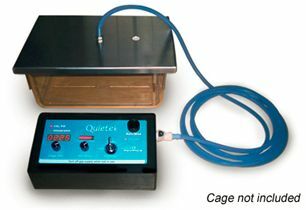 The Quietek controller can be used with other lids and with chambers. 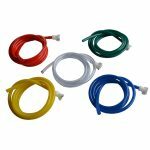 To connect the Quietek to your chamber or lid, you can purchase tubing from us or use your own tubing. 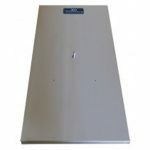 We can supply adapters to fit a wide range of lids and chambers. Call or email us for more information. 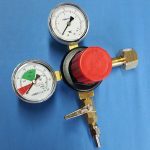 How much control do I have over the CO2 flow rate? 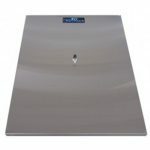 The flow rate is completely adjustable within the parameters set out in the AVMA regulations. To ensure proper compliance, it is also necessary to determine the cage volume. All four of our models can switch between 2 cage sizes, if a lab works with mice and rats or 2 different size mouse cages. The Quietek 1 is available with and without RapidFill™, in which after the rodent is anesthetized, you can maximize the fill rate and save time. The Quietek 2 can run CO2 into 2 cages of the same size. A researcher can start CO2 into the first cage, and a few minutes later start CO2 into the second cage. The Quietek XL is for larger cages. How do I get the CO2 out of the induction chamber between euthanasia cycles? Best practice is often considered to euthanize in the home cage as there is less stress to the animals (in this situation there is no need to purge the CO2). If you are using a euthanasia chamber or clean cage, then purging the chamber between uses is required (to maintain compliance). CO2 is heavier than “normal” air and so simply tipping the chamber over will release the CO2 from the cage. This process may take several minutes based on the size of your cage and air flow in the area. How do I determine my cage volume? If the cage is only very slightly tapered (e.g., Allentown cages), simply calculate the volume using the length and width (of the inside) at the top of the cage. Multiply the inside length, width and height of the cage, in cm. Subtract about 4 times the height and 2 times the length plus width, to account for the rounded corners, then divide by 1000 to get the volume in liters. (There are 1000 cubic centimeters in one liter.) For more strongly tapered cages, measure the length and width 1/2 way down from the top. If your cage is wedge-shaped (e.g., Animal Systems’ M.I.C.E cages) or otherwise irregular in outline, it is best to measure the cage volume directly by filling it with water. A handy calculator to approximate the volume of a cuboid (box-shaped) cage is available.